I have been noticing more and more things in the hedgerows. Perhaps it’s due to the purchasing of a foraging handbook which has become the mainstay of my bedside table or maybe my observational skills have drastically improved. Whichever the reason it has meant even more slowing down and stopping on a walk; not irritating if you are me but rather tiresome if you are walking with me. Apparently. What used to be a half an hour walk can now involve an in depth ditch investigation or an alarmingly thorough search of a thicket and the whole shebang now takes at least an hour. I don’t tire or suffer from any dilution of enthusiasm even if it’s a walk I have done many times before. Over the last week I have found: wild hops, several crab apple trees and even a quince tree. I’m always looking up; in the physical sense rather than being insatiably optimistic. Of course if you have wild hazelnuts (see picture below) they need to be shelled. I managed to acquire a nutcracker after much searching of the whole house and I was ready to get cracking. I don’t think I’ve done much else as terrifying and dangerous; the shards that came flying off went in all imaginable directions, I got some in my eye, I pinched my hand in the nut cracking contraption. Honestly, I’ve never known a boring job be quite so eventful. I thought the terror was over and then I stood on some shards that had ended up on the floor. When the nuts are freed from their shells (whichever way you choose although I would recommend outside and with plenty of bravery) put them in a single layer on a baking tray. Put the tray into a preheated oven at 200C for around 5-10 minutes or until the nuts are nicely toasted. Remove them from the oven, allow to cool and then chop the nuts up. Put the water and sugar into a small pan over a medium heat and then let the sugar dissolve, stirring occasionally. When the sugar is fully dissolved turn up the heat and then boil the syrup for about 10 minutes or until a golden/amber colour. Remove the pan from the heat and immediately tip in the chopped nuts. Stir it all together quickly and then turn the mixture out onto some greaseproof paper. Leave to set and then break up to eat. I was really rather pleased with this. I do have to say that I mixed together some wild hazelnuts that I had picked with some cobnuts that I picked up from my local butcher. I would have ended up with a desperately poor amount of brittle elsewise. The nuts themselves had such a fresh, almost milky, flavour without even a faint hint of bitterness. The gloriously golden coating was a very nice vehicle to hold it all together. A lovely reward for all the walking and inevitable neck ache. Yay. The greengrocers of Ludlow are full of cheap cobnuts at this time of year, for those (like me) too lazy to hunt the hedgerows (hmm… so why am I happy to spend 2 hours picking bilberries?). Anyway, this is a very tempting snack! My own most recent use of cobnuts: a cobnut vinaigrette made with 2 tbsp rapeseed oil, 1 tbsp cider vinegar, chopped parsley and a handful of roughly chopped fresh (unroasted) cobnuts. I love that you used these little wild hazelnuts! I have been doing more foraging, too and am enjoying it a lot. This looks really good! This looks so delicious… its unique to use hazelnuts as most normally use almonds..
Its delicious and tempting. I probably have to go with our local nuts because we don’t get those you have used. Wow, I have never thought about making any other kind of brittle than peanut. This looks SO good!! 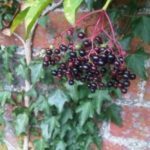 I am aware of what’s in the hedgerow too – last week, while foraging for blackberries, I saw a snake in the bush where I was picking! Fortunately it was only a Grass snake. I have tred gathering wild Hazelnuts, but I can never muster a viable quantity – and they are inevitably green. If you leave them until they are ripe the squirrels get them. I have access to cobnuts at the allotment so will hope to collect enough to try this out! The hedgerows are irresistible at the moment aren’t they. Whenever I go out for a quick walk I can’t help dallying when I spot blackberries and sloes. 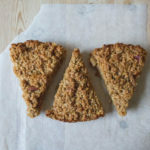 Your brittle looks delicious and a friend gave us a bag of cobnuts last night from his garden – so very tempted to give it a go. Se ve muy rico yo lo haré con nueces que son muy ricas también,abrazos. I never made brittle…looks delicious, I love the crunchiness of it…yum! Sounds like walking with you is an adventure! I’m all for foraging, so I’d find it all entertaining. Lovely brittle – I’ve never had a hazelnut one. Fun post – thanks. 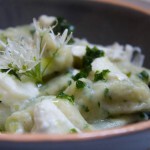 I think I would LOVE walking with you and discovering all sorts of wild edible produce! SO cool that you found these hazelnuts! THat brittle must be fabulous. This little nutty treat looks awesome! I’ve only made peanut brittle. I love the idea of using hazelnuts. I adore hazelnuts and your Wild Hazelnut Brittle sounds like the perfect thing to munch on. 😛 yummy! You are so lucky to find wild hazelnuts! I love to forage and have only managed to beat the squirrels to the cobb nuts once and never even seen the hazelnuts! I can’t believe you have wild hazelnuts. I’m so jealous! This is a really great recipe. I can just imagine snapping it up and eating the whole thing!